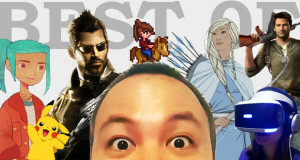 Not long ago, I caught up with my friend Allan for lunch and during conversation we compared notes on games that we’d been playing recently and what we would recommend to one another. Upon discussing Bastion, an Xbox Live Arcade game made by first time developer Super Giant Games, I was reminded of the first ever XBLA game that I played when I lived with Allan five years ago and the Xbox 360 first launched in Australia. It was Smash TV, a port of the 1990 arcade shooter. At the launch of the Xbox 360, Xbox Live Arcade games had a 50mb file size limit and the majority of the early releases were exactly what the name suggested – ports of old arcade games. 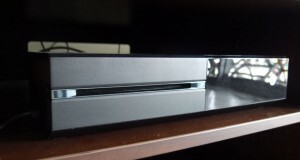 Since then Microsoft has significantly expanded its portfolio of games in the XBLA family both in terms of size and quality. Bastion is an action rpg whose isometric viewing angle gives it the look and feel of a retro game but in actuality it is anything but. The game begins by introducing us to The Kid, a silent protagonist who wakes up in the aftermath of armageddon which has wiped out the world he lives in. The Kid begins to explore the remains of the world to find survivors, rebuild his home and maybe find out what exactly caused The Calamity to occur. We know all this because even though The Kid is mute, Bastion has a narrator who tells the story and describes his every move. The omnipresent narrator, named The Stranger, gives Bastion an atmosphere like no other. The voice actor appears to be channelling Sam Elliott and it works wonderfully well. In some ways, you can’t quite believe no game has tried this before and yet here it is in a pint sized digital download where incredibly, Super Giant Games have succeeded in making it work so that the narration never repeats itself. For a game that takes roughly six hours to complete, there is a surprising amount of depth and flexibility to the mechanics of the game. 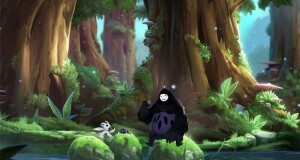 A hack and slash game at heart, Bastion continually supplies new melee and ranged weapons into the mix and they can all be upgraded with new abilities over the course of the game. The game is pretty happy to let you pick and choose what to use. Everyone will have their personal preferences and there isn’t any stage in the game where you’re forced to use a particularly combination of weapons to proceed. In addition to this, the game also has rare items to collect for those that like that sort of thing and a town-building activity in the game’s hub world. All this adds up to plenty of bang for your fifteen bucks. 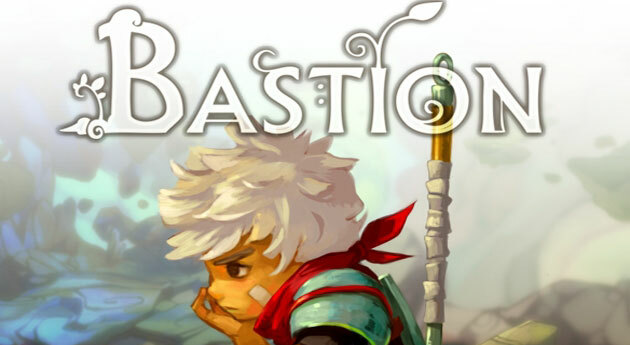 Bastion‘s aesthetic is a strange mish mash – the character design of The Kid suggests a Japanese anime influence but the style of the narration is clearly intended to be evocative of Spaghetti Westerns. As for the water-colour pallette of the gameworld, it felt influenced by classical European artwork. Despite the patchwork nature of its influences, it still feels like a cohesive environment that you can lose yourself in. Bastion is a particularly well-designed game that gets all the fundamentals right. It provides the player with a reasonable amount of freedom in tinkering with their character’s abilities and the hub world offers a choice of which level to attempt next. However the storyline is linear with a clear objective and never feels unnecessarily padded out. Lastly, the method in which the story unfolds shows greater restraint and understanding of pacing than most full length games. I was surprised by how engaged I became with Bastion‘s story by the time the end credits rolled. Bastion is a testament to how far games have come on Xbox Live Arcade since those early days of playing Smash TV. Summary : A charming and highly polished isometric hack n slash. The narrator really works in giving the game a unique point of difference too.